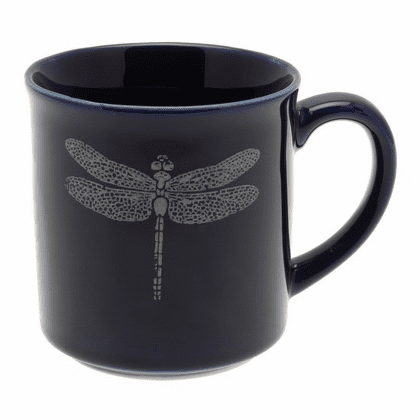 Lapis & White Dragonfly Mug, 10 oz. Home | Ceramic Tea Cups & Mugs | Ceramic Coffee & Tea Mugs | Lapis & White Dragonfly Mug, 10 oz. Ceramic mug with lapis and white dragonfly design.